Shortlisted for the Man Booker Prize, winner of the Goldsmiths Prize and winner of The Roehampton Poetry Prize. 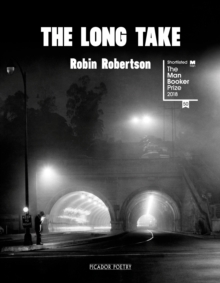 'A beautiful, vigorous and achingly melancholy hymn to the common man that is as unexpected as it is daring' John Banville, GuardianA noir narrative written with the intensity and power of poetry, The Long Take is one of the most remarkable - and unclassifiable - books of recent years. Walker is a D-Day veteran with post-traumatic stress disorder; he can't return home to rural Nova Scotia, and looks instead to the city for freedom, anonymity and repair. As he moves from New York to Los Angeles and San Francisco we witness a crucial period of fracture in American history, one that also allowed noir to flourish.